Warning: The following article contains spoilers for the first episode of season 8 of HBO’s Game of Thrones. It had been 595 days in between new episodes of Game of Thrones and last night winter, along with a bevy of the show’s favourite characters, returned to the small screen. Characters have been mumbling about the coming of winter for seven seasons and the plot has mostly funnelled down to bring many of the remaining heroes and villains to the same place. Gathered at Winterfell, armies are now preparing for the upcoming wintery war with the white walkers. 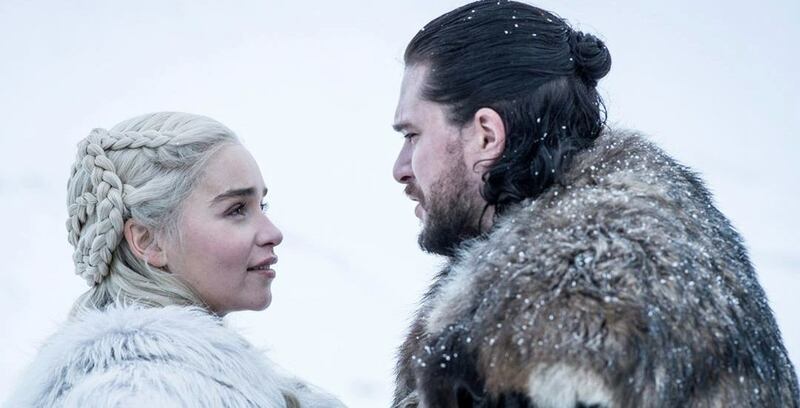 The beginning of season 8 reunited characters who haven’t shared screen-time since season 1 (Jon and Arya, Jaime and Bran) and the Internet took to Twitter to react to last night’s episode as it does all things — through funny GIFs, memes, and one-liners. Since fans waited close to 600 days between seasons, this upcoming week between episode 1 and 2 shouldn’t be that bad. In the meantime, here’s how the Internet reacted to last night’s premiere, but be warned: the following jokes contain spoilers for Game of Throne’s 8th and final season.